NO COTTON: if you are a hiker, backpacker, camper, or general outdoors man or woman, you probably already know this. The standard line is “cotton kills.” When cotton gets wet, it stays wet and takes a long, long time to dry. This is very unpleasant on a colder day and one where we are so close to the water. Nearly any other fabric is better: silk, wool, acrylic, linen, polyester, etc. 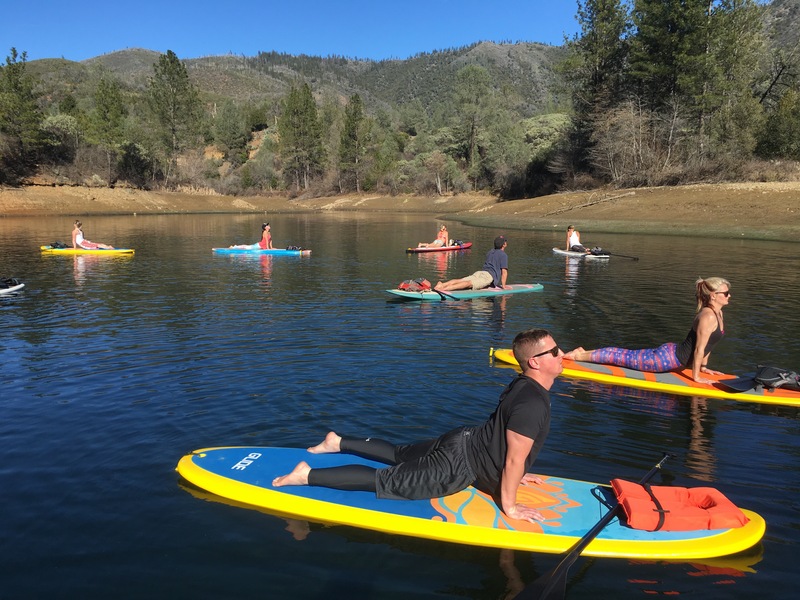 you could always get separate wetsuit pieces: top and bottoms, and wear them as needed; here in Redding, we haven’t needed it in the 5-years I’ve been teaching, but in San Francisco, they use these. All. The. Time. BRING A DRY CHANGE OF CLOTHES: in 5-years, I have only had 1 student slip into the water in the winter (up to the waist), so I can’t promise it won’t happen, and even if it doesn’t, sometimes water splashes onto your SUP and you get your knees wet or you step into the water, accidentally, as you are loading your SUP and your ankles get wet. So, it’s nice to have that dry pair of clothes waiting for you in the car as you load up. 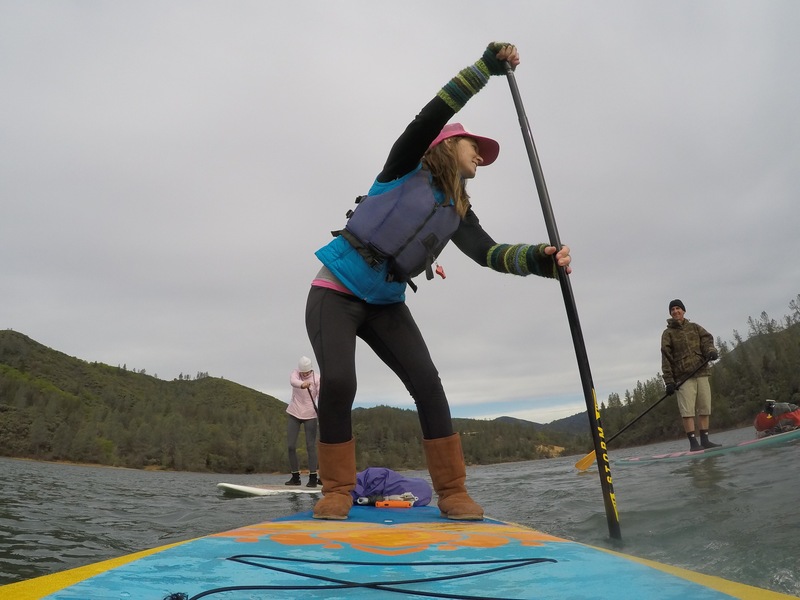 OR bring a dry bag with you on your SUP and put in a few extra layers and have a dry space to put them when you take them off as you warm up. You can get a good idea of what I and other’s have worn during SUP and SUP Yoga, in all seasons, with this video here.